Finding loving new homes for our adoptable cats and dogs is at the heart of what we do at The Lost Dogs’ Home. Some of these pets spend weeks – or even months – waiting for someone to come along and choose them. That’s a long time to be without a family! 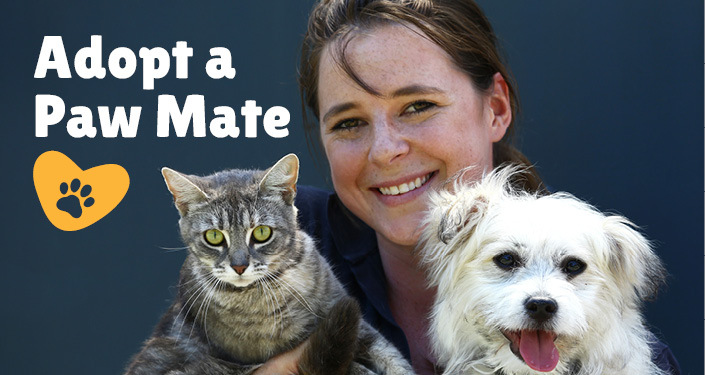 To help our long-term cats and dogs find new homes, they’re becoming members of our exclusive Paw-Mate Club and we’re halving their adoption fees until 13 June 2016. 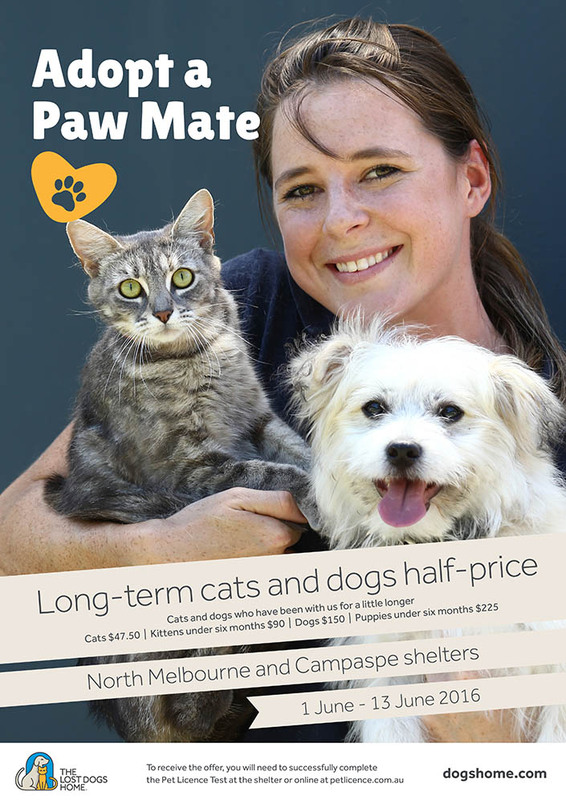 All cats, kittens, dogs and puppies who have been in our care for more than 20 days at our North Melbourne and Campaspe shelters are part of the Paw-Mate Club. Your new pet will come health-checked, desexed, microchipped, vaccinated and wormed, which is all included in the adoption fee. We have many great pets waiting in their cat condos and dog pens, but they’d rather be snuggled up on your couch this winter. Meet our long-term cats and dogs today! Not ready to adopt? You can still help! 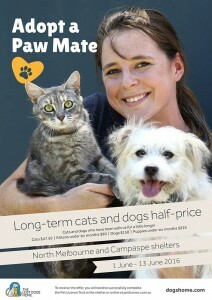 Spread the word about our Paw-Mate adoption drive via social media or word of mouth. Become a foster carer to give a cat or dog TLC in a home environment and help create much-needed space in our shelters.